"With a strong commitment to the conservation of species, our efforts to produce innovative and valuable nesting habitats and feeders for birds, mammals, amphibians and insects are benefiting wildlife all over Europe and are an on-going contribution to the survival of species in both the UK and other countries. Our commitment to innovative features has gained us an enviable reputation as leaders in the design and manufacture of products for wildlife." 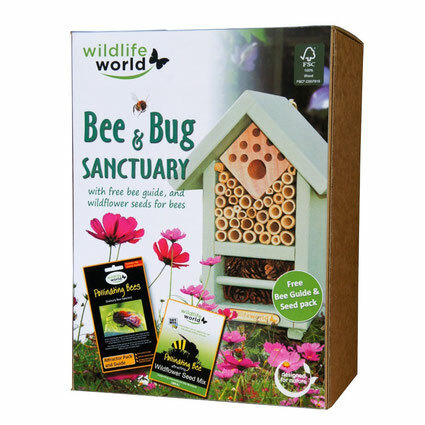 The Bee & Bug Biome is an attractive bee and bug habitat in a gift pack that provides a home for solitary bees, ladybirds and other beneficial insects and comes with a FREE pack of wildflower seed plus a FREE bee guide. 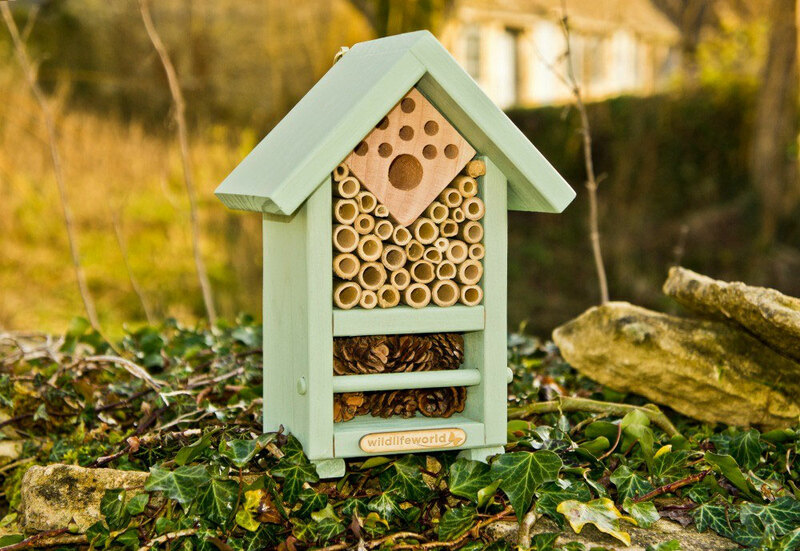 Manufactured from durable natural FSC timber, this attractive insect habitat looks good in any garden and provides a purpose built habitat for a wide range of insects like solitary bees that will pollinate plants and flowers plus some like ladybirds and lacewings that will prey on garden pests like aphids. 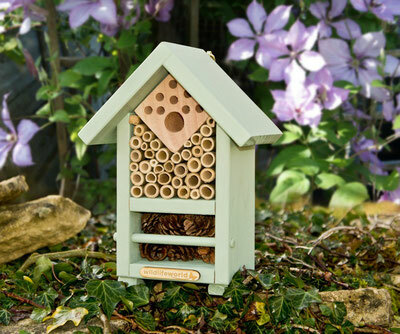 The Bee & Bug Biome is supplied in a colorful gift pack and makes the perfect gift for gardeners and nature-lovers alike. "That house is not only for ladybugs, some solitary bees and other small insects seem to love it." "That little house is very cute, I would evenlike to keep fo decoration at my place." "That shelter is a warm place for insects and helps them get settled and reproduce. It is the ideal tool for you as well as you will get rid of all sorts of aphids."